If you want to get a flattering sun tan, don't forget to look after your skin's health. With iBronze for iPhone you can calculate your photo-type to sunbathe without being burnt or suffering skin marks caused by the sun. Do you know how much sun your skin can cope with? Who hasn't ended up with a striking lobster-colour skin, instead of a trendy sun tan, after spending hours on the beach? This is quite common among people with white skin, and it is really dangerous for the health of your skin. If you don't know your photo-type, it is about time you calculate it with iBronze. iBronze allows you to find out in simple steps the capacity of your skin to assimilate the solar radiation and provides you with recommendations depending on your type of skin. 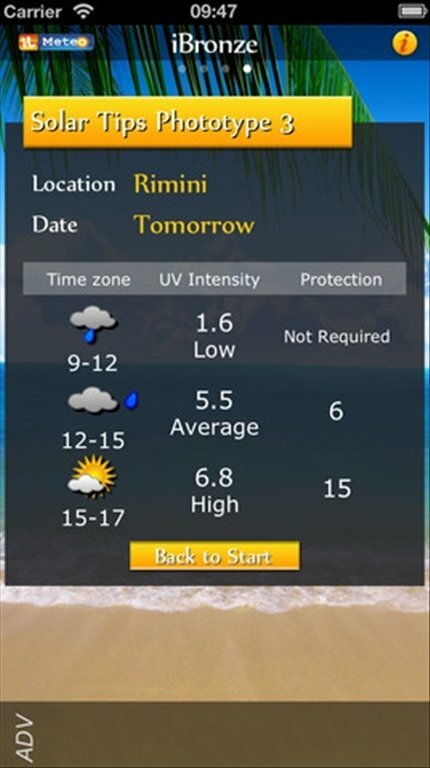 Furthermore, it also indicates the UV radiation expected in your area. 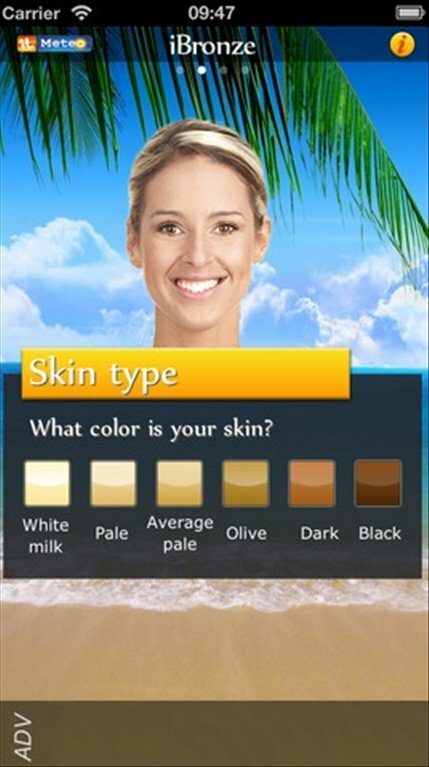 To achieve an all-over tan, download iBronze free for iPhone and follow the advice provided.